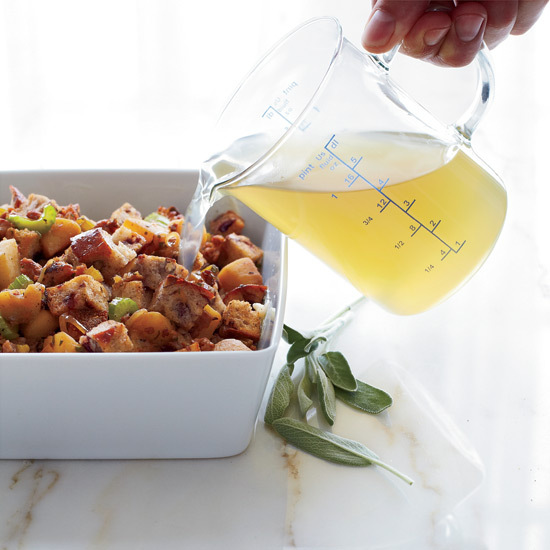 The one thing all delicious Thanksgiving stuffings or dressings have in common is, actually, nothing. They can be made with any kind of bread or no bread at all. They can be studded with everything from sausage to pecans to oysters to fennel. They can be baked in a casserole dish or oven-safe skillet or muffin tins or not baked at all. Here are six of the best ways to make this essential Thanksgiving side dish. 1. Swap the bread. For an extra-hearty stuffing, use multigrain bread—it's delicious with autumnal flavors like apples and pecans. 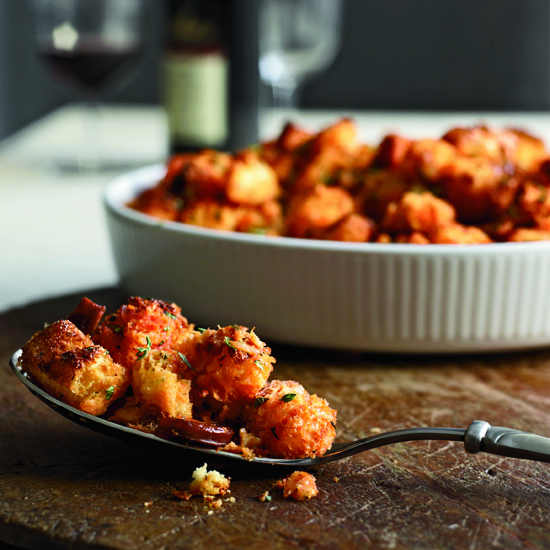 Or try an Italian spin on stuffing with focaccia. It gives the stuffing a soft and creamy inside and a chewy, crisp top. Using fruit-and-nut-flecked bread is a terrific flavor shortcut, since it's three ingredients in one. 2. Add chorizo. Instead of the usual fresh crumbled sausage, try smoky Spanish chorizo. The dried sausage is especially delicious with sweeter breads like brioche or corn bread. 3. Take inspiration from a sandwich. Make a deli-inspired stuffing with rye bread, onion and bacon (or pastrami). 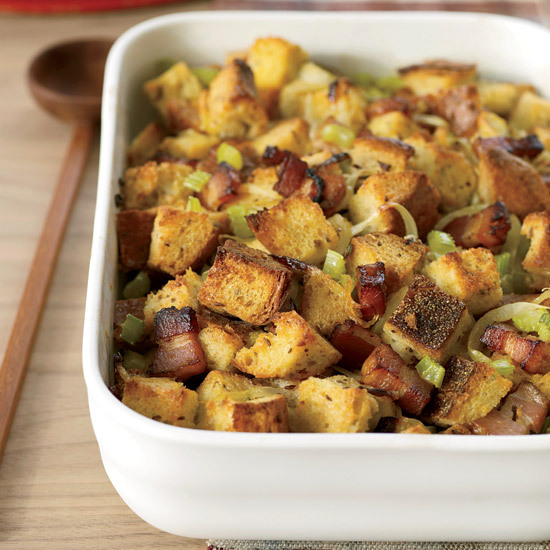 Or turn a classic ham-and-cheese sandwich into a Thanksgiving stuffing using roasted ham, cheddar and sourdough bread. 4. Make stuffins. 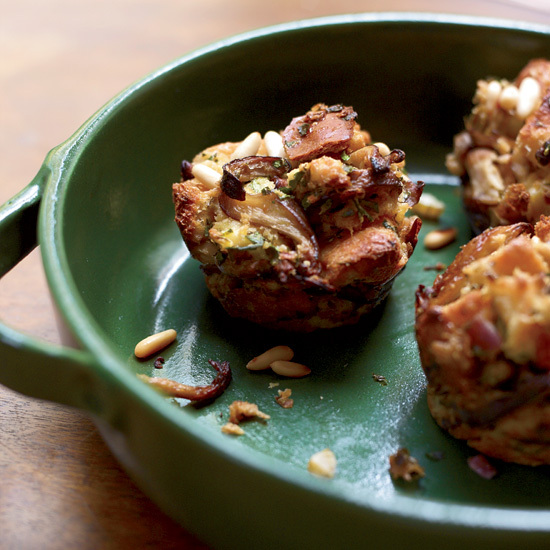 To get a better ratio of crust to soft center, cook your stuffing in muffin cups. Star chef Michael Symon does two versions: one with brioche bread and mushrooms and another with corn bread and butternut squash. 5. Add crunch with fried tortillas: Add crispy fried tortillas to a corn bread stuffing, making it like a riff on the awesome Mexican comfort food chilaquiles. 6. Go gluten-free with rice. For an easy gluten-free stuffing, just use rice instead of bread. 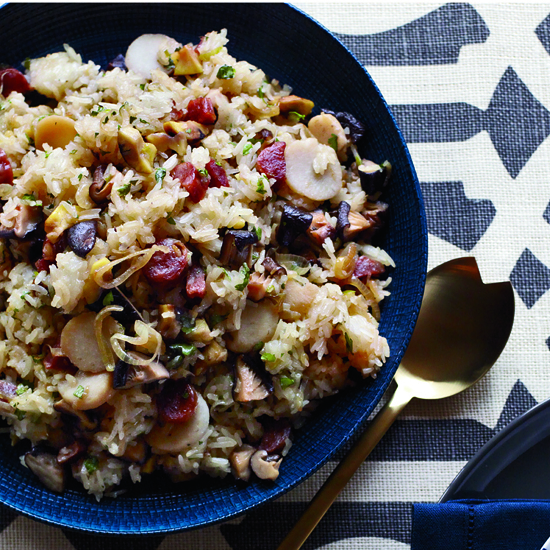 Make it Asian and use sticky rice and Chinese sausage or opt for an Americana version with wild rice and chestnuts.